Naxals spotted in Sullia-Madikeri region ? Sullia, Feb 03, 2018: It has been reliably learnt that three suspected Naxals were spotted in Madikeri-Sullia region on February 2, Friday evening. It is being said that the Naxal suspects had visited two houses at Gundigadde of Sampaje village. They had reportedly demanded rice and other essentials from the house of Dayananda and then vanished into the forests. Sullia and Sampaje police have visited the spot and are investigating. Even the Anti-Naxal Force has arrived at the place. 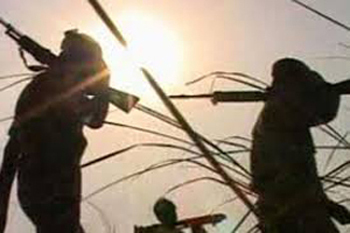 It may be recalled here that on January 14, three armed Naxals had visited a few houses in Mittamajalu near Addahole.